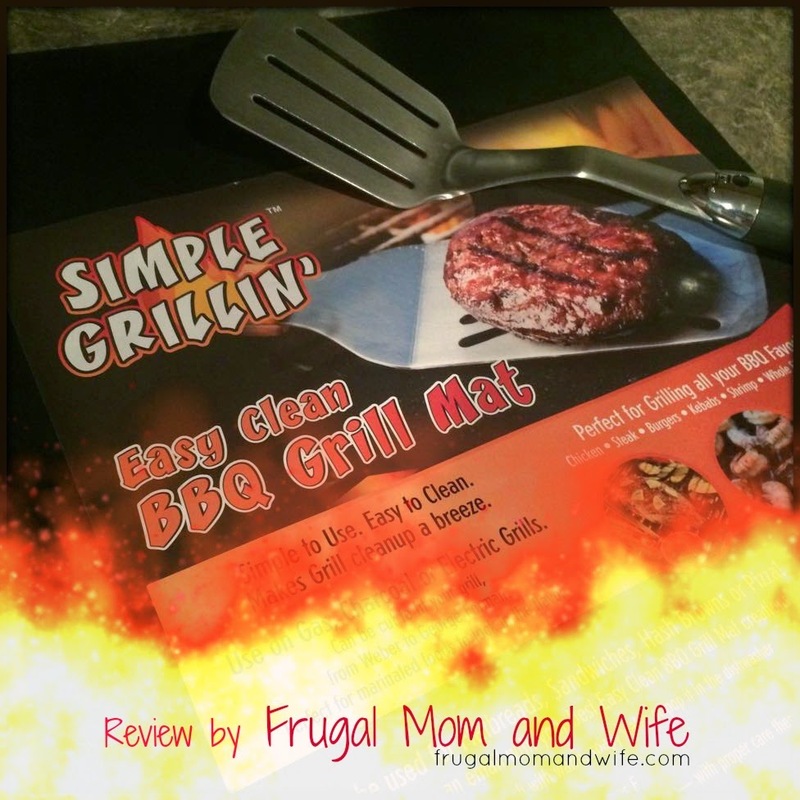 Frugal Mom and Wife: Simple Grill BBQ Grill Mat by Radar Products Review! Simple Grill BBQ Grill Mat by Radar Products Review! When it comes to grilling, as soon as it hits above seventy degrees outside, it's on! When grilling everyone wants maximum flavor regardless of what you are cooking. Many times you grill items that need their juices but drip right through the grill. 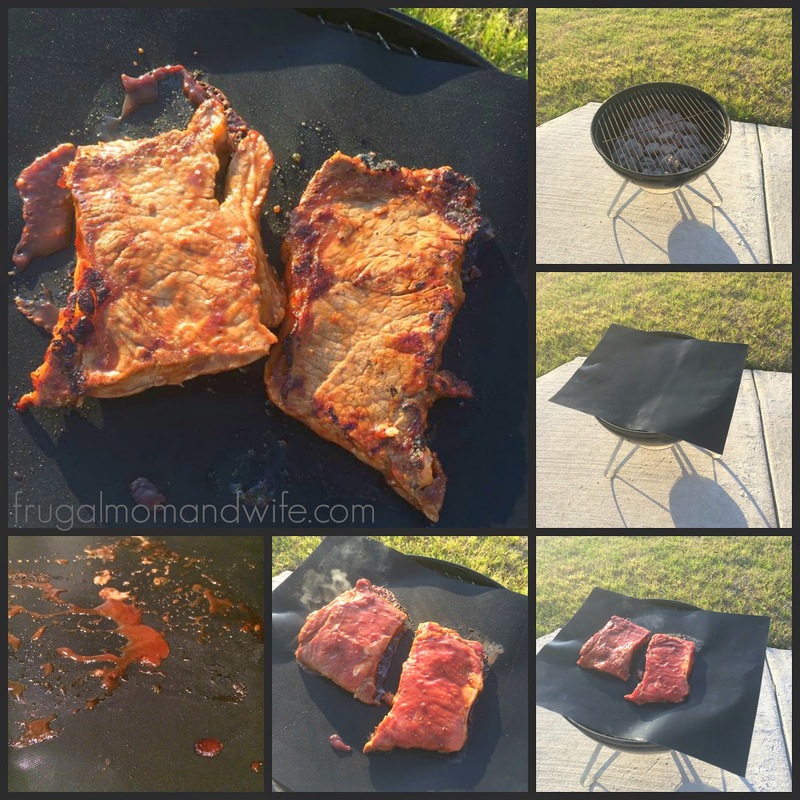 You can always use foil but honestly it's a huge hassle compared to this Simple Grillin' BBQ Grill Mat. It comes in sheets that provide a non-stick surface that you can use on Gas, Charcoal or Electric Grills. There is something about this little grill my husband just loves. Maybe because it's simple or the fact that he can take it on the go. Taking the grill on camping, fishing or other outdoor activities you want convenience. This grilling mat provides just that. You use it as a Grill Mat or as an Oven Baking Sheet. The Grill Mat is placed over your grill and plates keeping valuable juices from escaping. The non stick teflon surface is very easy to clean. Simply wipe off after use and wash with warm soapy water or pop it in the dishwasher. That's right, the dishwasher! As you can see in my video below that the juices stay and your delicious food is cooked perfectly. - There are 2 Mats in the package sized 13" x 16". - Cooking Temperature Range of 79 to 500 F.
- Non-stick Teflon surface is easy to clean and reusable. - Mats can be stored either flat or rolled. This product is wonderful and works just as described. You can use it to bake pizzas directly on the rack without crumbs falling through. It doesn't melt or leave a residue behind. No smell comes from the mat other than that of what you are cooking. It's absolutely splendid, I highly recommend this product. That's kind of cool. I've never seen it before. Looks like it would make a great gift! I love the idea that this would be perfect for on the go. When we're camping for just a night or two this would be so much easier than the usual clean up involved! Our amily got into the grilling craze last summer and we can't wait to fire up the BBQ grill again! A BBQ mat...how cool! Need to check it out!